Contractors' Questions: When will public clients tell me my IR35 status? Contractor’s Question: When do public sector bodies governed by this April’s new IR35 rules need to disclose their decision about a contractor’s IR35 status to the contractor? And does the body (the end-user) have to review the tax/status position at the outset of a contract where that contract is to renew just before the rules take effect, such as in March? Expert’s Answer: It is understandable that contractors have a number of questions about the assessment process and when they are likely to be informed about their IR35 status. Firstly, you should appreciate that IR35 assessments for assignments within the public sector, caught by these incoming regulations, are the responsibility of the public sector body. Interestingly, HM Revenue & Customs have recommended that assessments be carried out using the off-payroll /IR35 digital tool (yet to be unveiled at the time of writing) prior to any advertising of the assignment/opportunity/tender. Logically, that makes sense -- what contractor would want to negotiate a pay rate without knowing the tax position and consequently their likely take-home pay?! Beyond this, the April legislation places a requirement on the public sector body -- where they have not provided the assessment -- to provide it within 31 days of a request for the assessment being made. This scenario is most likely to come into play for existing contractors whose assignments run into the new tax year when the changes come into effect; assignments like yours. As an aside, it is worth being aware that (at this stage) many public sector bodies are simply not prepared for the legislation. 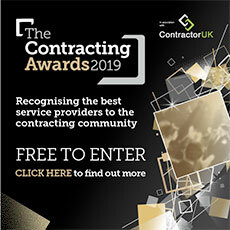 Time to prepare is short and so they may feel they can keep existing contractors ‘in limbo’ while sorting out their processes. However, if they fail to provide the assessment within the 31-day timeframe, the body must deduct tax and NICs (employees') and pay employer’s NI through their payroll software, as if you (the contractor) were one of their payrolled employees. Once the assessment has been made, it is suggested that the result should be inserted into the contract. It is then the responsibility of the public sector body to ensure the assessment outcome is passed down the supply chain. You should expect to be told by your agency, in due course, assuming that the agency is the party whom you invoice. Be under no illusion; you can expect every assignment affected by these regulatory and procedural changes to be assessed for IR35 status. It will cover both new contracts and existing contracts that overlap April 1st 2017. Editor’s Note: This is the second instalment of a seven-part Contractors’ Questions series based on questions posed in a recent webinar on Autumn Statement 2016 and its impact on contracting. The first instalment is viewable here.